In this game the driver can die in an accident! 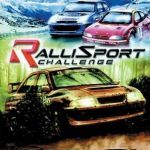 I think this was also one of the first rally games to introduce co-drivers with an actual personality that reacted to your mistakes and poor driving. It's a novel touch that is still lacking even in DiRT, surprisingly. I just noticed that the Saab 9-3 Viggen was missing.